Everyone has a dream. Whether large or small, these dreams are what can motivate people in their daily lives. However, some never take the leap of faith to follow them. Patricia Sexton is an individual who took her leap. 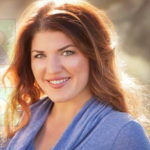 She’s the author of the popular blog and book, LIVE from Mongolia. I was excited to have the opportunity to speak with Patricia recently while she was in America touring for her book before returning to her home in New Zealand. It was not only a time to learn about her journey, but also a chance to ask her questions that could lead to answers and inspiration for me. My college graduation is right around the corner, and I have this dream to become a broadcast journalist like Patricia. But where do I start? Do I take the first well-paying corporate job that I am offered? Where do I live? Should I travel? Should I take the leap and follow my dreams? There could not have been a more perfect time to speak with her. Patricia was thirty-years-old and working as a successful banker on Wall Street. She had it all by New York standards: an amazing job, a loft apartment in Union Square, and the ability to walk into an art studio, find her favorite painting and pay cash. But she knew that this was not the life for her every time that she turned on CNN and saw Christiane Amanpour reporting live from Baghdad. She yearned for the life of a journalist, reporting on war zones in a foreign country. Patricia had made a promise to herself to quit her job by the age of the 30 to pursue her dreams. One day her friend convinced her to take a public speaking course. At 26, Sexton decided to take the challenge. On her first day Sexton was required to talk about the currency system for two minutes and in her words “bombed’ it. The instructor stared at her and let her know that the following class she would have to come back and speak for five minutes rather than two. 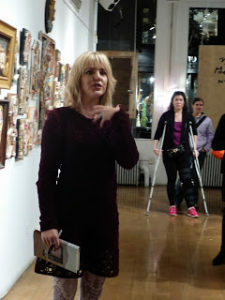 The next day Sexton returned and started her 5-minute speech with this obscure line: “Have you ever held the hand of a monkey in a rain forest?” Thus she began her speech about her love of travel, adventure and journalism. By the end of her talk, the class gave her a standing ovation, and in that moment Sexton knew she had to follow her passion. She remembers her instructor asking her if Wall Street was really what she wanted in life. She knew it wasn’t, but continued for five more years to work there. She stood up, wiped the tears off her face, walked onto the trading floor and googled three words: Journalism Internship Asia. On her screen popped up Television Internship Mongolia. 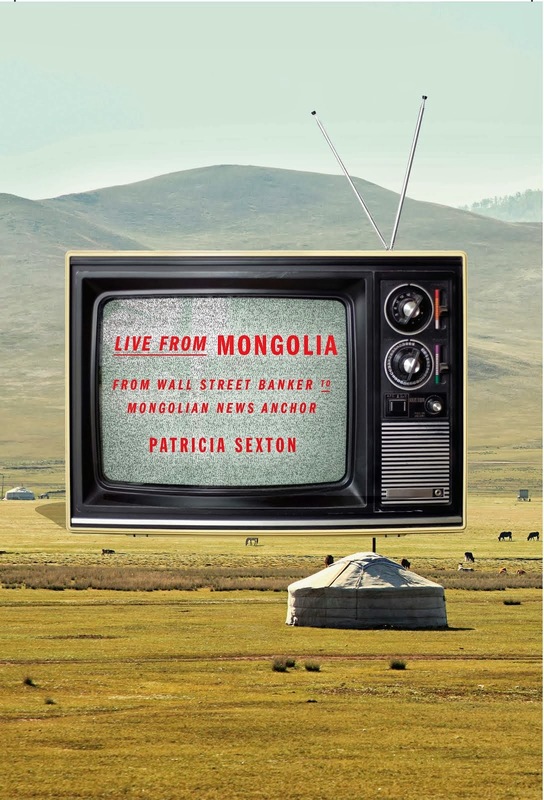 Three months later Sexton was on an airplane headed to the far corners of the world where she interned as a national broadcaster in Mongolia. This internship led to a day Sexton will never forget when she got a shot at becoming the anchor for the Mongolian National Public Broadcaster Network. There is not a day that goes by where she does not remember the experience. 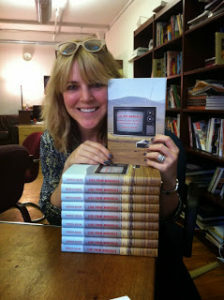 She now gets to share it with others in her new book and on her blog. During one of those times of doubt, Sexton’s best friend, Meghann said to her,” If you stay in banking one thing can happen. But if you go, anything can happen.” That stunned Patricia into silent deliberation. It also really spoke to me. I think the fear of the unknown is what scares and excites people. It seems to easy to get trapped into the daily routine of comfort, but what is these routines prevent us from a life of fulfillment and adventure? Sexton also explained that in order to succeed and be satisfied in what you do, you must be open to different ideas. She ideally wanted to be working in a war zone, but instead was reporting from Mongolia on lighter topics, but she still found herself feeling accomplished and meeting individuals that inspired her along the way. One particular event that Sexton won’t forget was the costume party in Hong Kong where dressed as Snow White, she met her soon-to-be husband, Jessie, in the costume-crazed crowds. She said the moment she saw him there was an instant feeling in her gut when she knew he was going to be someone special, even while he was dressed as Hugh Hefner that day. The two both now have a daughter and chose New Zealand to locate their family permanently. Her husband was raised in Wellington so it holds a special place in their hearts. Curiosity and excitement are exactly what keep Sexton flourishing in her career. She is excited to see what the future holds. 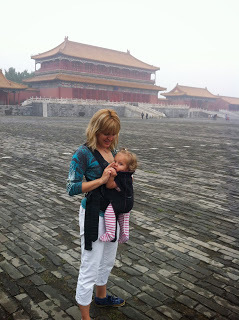 Currently she is touring for LIVE from Mongolia and inspiring others to chase their dreams. Wanting to highlight others who follow theirs, she began hosting her own show, WE Talk. 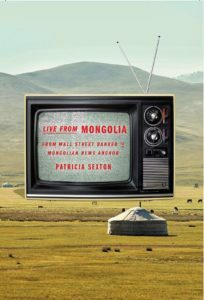 Sexton took a huge step out of New York and into Mongolia and a life she knew she always wanted. I will be taking my first baby step next summer out of the safe cocoon of college life to that of a young professional. I can’t say yet which direction specifically my feet will point towards. What I do know is that my post grad journey will include finding and following my passion. Thank you, Patricia, for your inspiration! 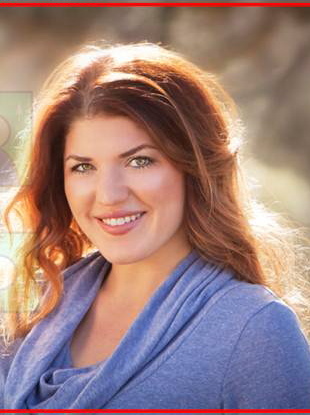 Bridget Stangland @bridgestang) is a soon-to-be a graduate of Cal Poly University, San Luis Obispo, CA. Writer, gourmet foodie, traveler, hostess, adventurer, and swimmer are some of the titles Bridget goes by. Growing up in a large close family netted a genuine interest in discovering the varying journeys of others. She is committed to increasing awareness of the Bob Woodruff Foundation and the Special Olympics organization.